Do you get tired trying to refill ink every time? Refilling ink is often a cost-effective deal. Any printing device has a recorded usage lifeline fixed by manufacturing companies. According to a given device, a company must understand the costs incurred by imaging. Optimized costs are possible if a printer runs within the stipulated time frame. Printer manufactures convince consumers not to avail third-party producers. However, going with OEM (original equipment manufacturer) specifications and availing compatible cartridges from the alternative source is cost-efficient. Keep the ‘low quality’ printing option checked by ‘default’ if your printer functions for heavy commercial purposes. You have the option to always swap to ‘high quality’ when necessary. Avail the ‘draft’ mode present at your printer properties section. This option optimizes your ink by toning it down, giving you an undetectable precise print. Select this option when you are printing drafts. Print what is necessary. If you need certain sections to be printed, do not go for printing the whole document. Precision, in turn, will save your ink. This is often a recurrent mistake while printing. When you are printing from a web page, ensure that any redundant printable like logos, subscripts, useless links or advertisements have not traveled to a different page. Always check the print preview to avoid ink wastage and ensure optimized printing. If you are a heavy user of printing devices, buying ink in bundles saves total money when compared to buying singles. 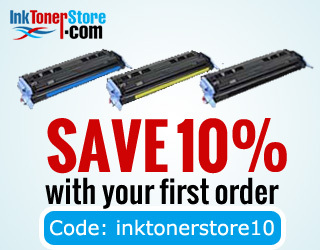 You not only save on your ink but on transportation too. The volume is to device ratio stands crucial. For a business to run smoothly, the plan is to install cost-efficient devices in voluminous areas. Think will keep the flow of ink steady and print costs will be effective. If you have a black and white document to print, do not set the choice to color print. Color cartridges consume more ink because of the combination of primary colors and empty up faster. Getting hold of an ink filling kit stands recommended. It again enables you with the choice to fill up your ink independently without incurring extra costs. When your printer gives you the warning that your ink is running low, do not go for refilling. Instead, mildly shake up the cartridge so that the ink gets redistributed. This policy of optimized printing ensures several more prints. Turning your printer off while on processing can turn out to be injurious. An abrupt stop to printing can lead to ink leakages and even drying up of the nozzle. If you have to use your frequently, it is always better to keep the power turned on. With every switching on of the power, the printer uses a little amount of ink to initiate itself. You can control graphics resolution in some printers. Setting it to 300 dpi will serve most of the daily commercial purposes. Lesser resolution means lesser ink consumption. It is quite interesting to note that the use of certain fonts reduces the ink usage by up to 35%. Research says that that the font Times New Roman is one of them. Now when you are aware of it try to implement it and save ink in the process. If you are running out of black ink, you can use your color ink cartridge while saving a significant amount of ink. Just tick the ‘greyscale printing’ option and see printouts complimenting your black and white. When you going for long document printouts, try to reduce the margins so said that words become compact and in the process, the printing is optimized. Again if you are running low on the black and white ink cartridge, enable the ‘maximum dpi setting’ option which works pretty well even for black and white picture printouts. Reducing the color tone of dark backgrounds and objects reduces ink consumption. Replace unnecessary backgrounds and try to reduce contrast while increasing brightness. Your printer too needs maintenance. Do not let ink cartridges to get dried. When you are not a frequent user, insure that you do two rounds of printing every week to keep the flow of ink steady. If you leave your printer unused for long, you have to replace your ink frequently. Ecofont is a software that introduces holes which are invisible to human eyes to your fonts. When the printed letters are of the average size, there is no fall in printing quality. Results are optimally high with ink savings up to 28 %. GreenCloud, a much sought-after printer driver, focuses on money savings. It works through three layers of ink optimization technology which enhances ink savings with every print job that you undertake. GreenPrint has an auto-sensing capability which analyses every page for unnecessary clutters. It automatically removes useless URL, logos or advertisement. It even as the ability to detect if redundant printable have got continued to subsequent pages. The software is useful for webpage printings. Tonersaver software is designed for Windows. It automatically optimizes your printable without decreasing visible quality. Statistics have shown that this optimized printing software has reduced 75 % of ink usages. APFill is often a prominent choice at printing shops. It provides you with a graphical coverage of the amount of ink being used and its intensity of color, the paper density, and paper format. The driver tells you the amount of ink needed before a print job starts so that your expenditures are at a regular check. When you are equipped with all the above pointers, your printing experience will turn out to be fruitful. You will start saving more with these easy and judicious printing optimizing techniques.